​Violet Morrow has one violet eye. She’s considered cursed and has spent the last six years bouncing from one vile orphanage to another, holding close only the memories of her deceased mother’s kindness. But on the eve of her 13th birthday, strange things begin happening. Things she can’t explain. Magical sorts of things. Then one day, while visiting her parents’ graves, she meets a mysterious young widow named Mirabelle who takes her in. 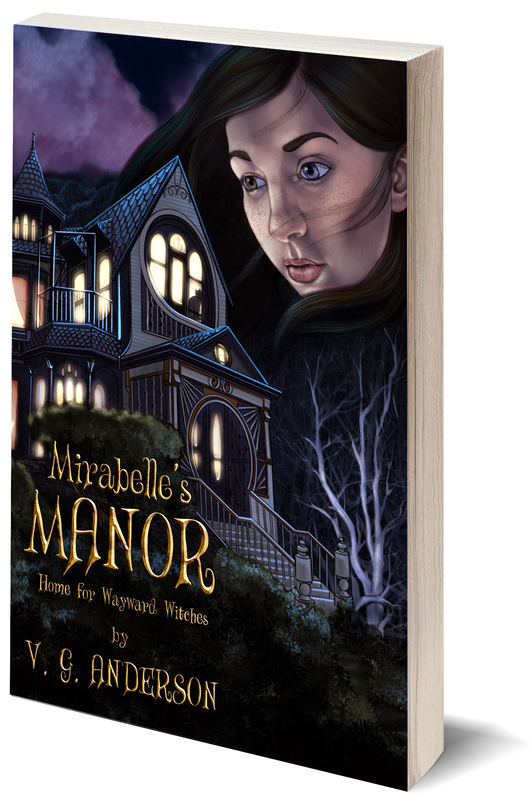 Upon discovering that Mirabelle is in danger, Violet becomes determined to find a way to help her. This will require enlisting the assistance of a few wayward witches and enchanted creatures who reside in Mirabelle’s Manor, weaving the very fabric that has been Violet's destiny all along.